Arlington, TX – Forward Theresa Plaisance has been named Dallas Wings player of the week for her outstanding performance Nov. 20-27. 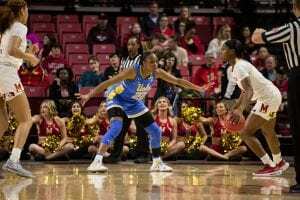 The 6-5 forward entered her fifth year playing overseas on Nov. 21, debuting for the Shaanxi Red Wolves of the Women’s Chinese Basketball Association. 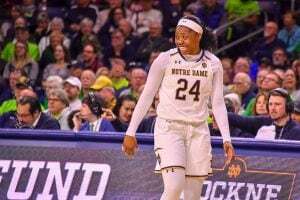 On Nov. 24, Plaisance recorded her best performance for the week, scoring a season high of 29 points, along with 11 rebounds, and two blocked shots. 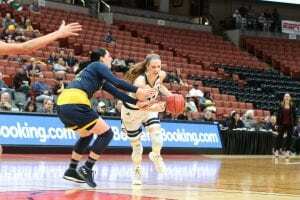 In the three games played, the LSU alumna has combined for 65 points (21.7 ppg), 39 rebounds (13.0 rpg), seven steals (2.3 spg) and four blocks (1.3 bpg). Plaisance and the Red Wolves will finish out the week this Friday, when they take on the Wuhan Shengfan. 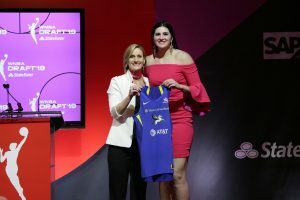 For all the latest scores, news and updates on how Plaisance and all the other Dallas Wings players are doing overseas, visit dallaswings.com.